Look into her blue eyes. What do you see? Or is it the golden locks, or the artistic graphics that draw your attention? 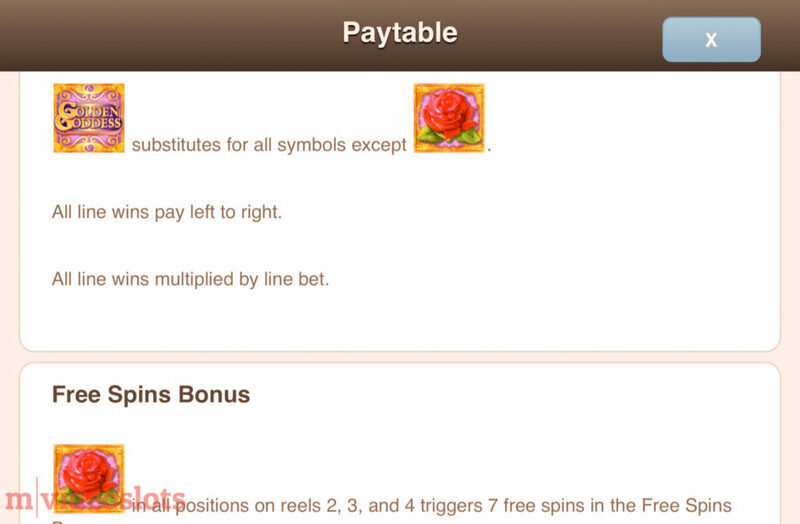 Or perhaps you know about the special feature that this mobile slot is capable of. 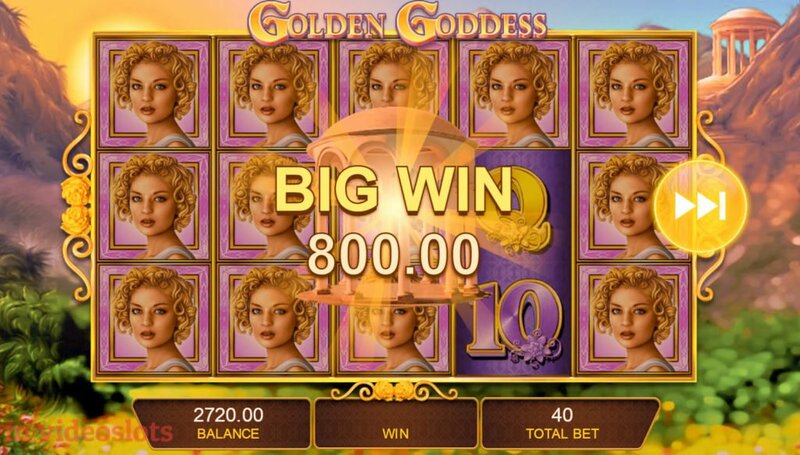 Whatever the reason you’re here for, I’m about to reveal the best this 40-line video slot machine called Golden Goddess has to offer you. So let’s get right to it. Click to play Golden Goddess in demo. Now, why would you choose the 2011-released Golden Goddess mobile slot over, say, WMS’s Zeus III or Microgaming’s Thunderstruck II? They all share the gods theme and a lot of magic. Okay, this game may have more attractive visuals. The blonde beauty – she looks like a real human and not some cartoon (that’s how H5G slots tend to look actually). Some will also like the relaxing and heavenly string, percussion, and wind instrument music in the background as you play. But enough of that, let’s see why this 40-line mobile and online casino slot is so popular. 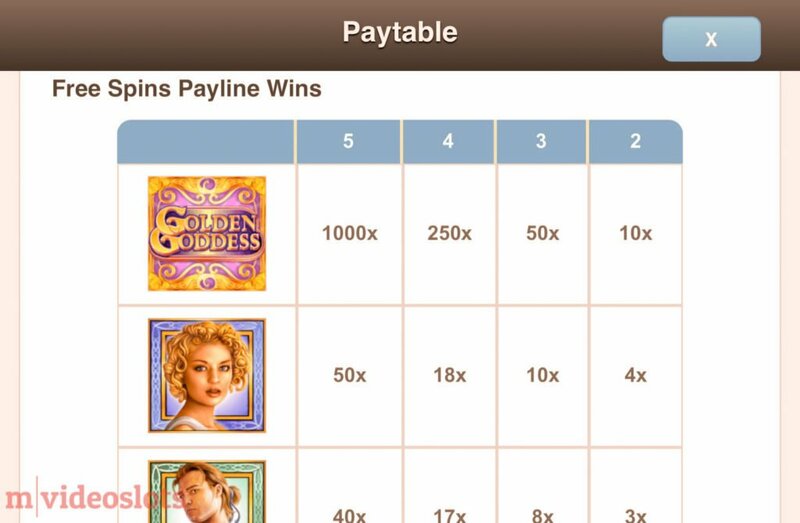 As you remember from experience or as you can see from the images, there are a lot of stacked icons in Golden Goddess and this wouldn’t be possible on a regular slot machine. This is only possible because the smart designers at H5G developed something called Super Stacks. If you like stacked symbols you can see related games here. 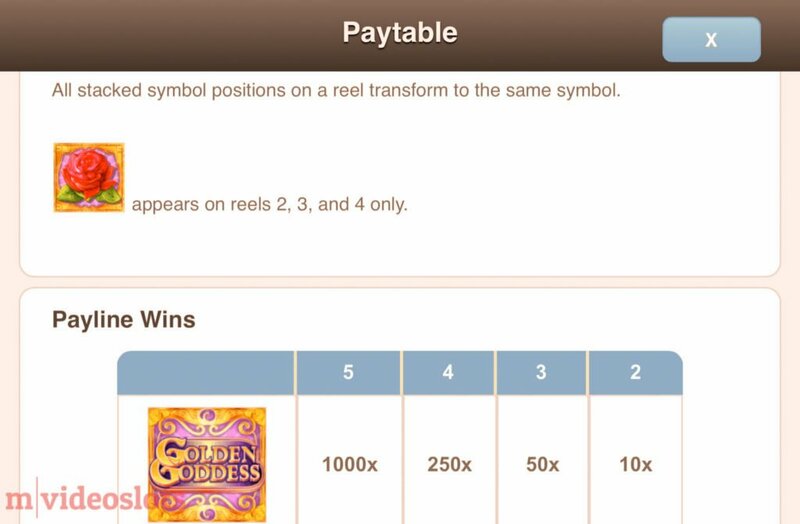 Theoretically, each one of the 5 reels in Golden Goddess mobile slot has symbol stacks, and almost any icon can appear in that stack. Moreover, during each spin all stacked symbol positions on a reel transform into the same symbol. Basically, each spin delivers a stack of one type of symbol and that’s why it’s really possible to cover the entire screen with one of the symbols I will describe next. But before that I’ll explain the company behind the game in a bit more detail. 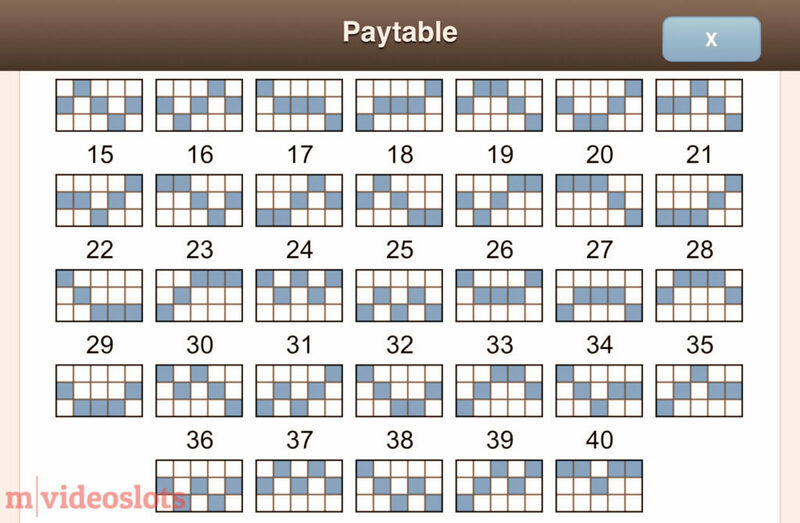 The fewer the number of spins played, the wider the normal variance of actual payback or RTP. High 5 Games (H5G) is an iGaming company based in New Jersey. International Game Technology, or IGT as they are best known, have been in partnership with the company since 2003. Games like Golden Goddess and Da Vinci Diamonds are in fact developed by H5G and not by IGT. That’s partly the reason why their office is now located at one of the top floors of One World Trade Center in New York! If you think these two companies have a smooth relationship, then you’d be wrong. In fact, the land-based web and mobile games developer H5G sued IGT for agreement violations in March 2015. Aside from this, you’ll be surprised at what H5G video slots has been working on for so many years. 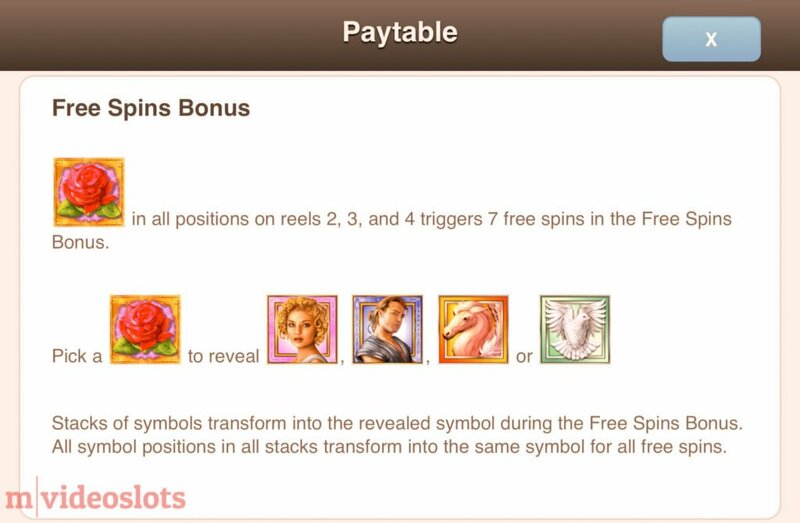 Now you can find out how rewarding they managed to make the symbols in Golden Goddess. Free Spins in Golden Goddess mobile slot. 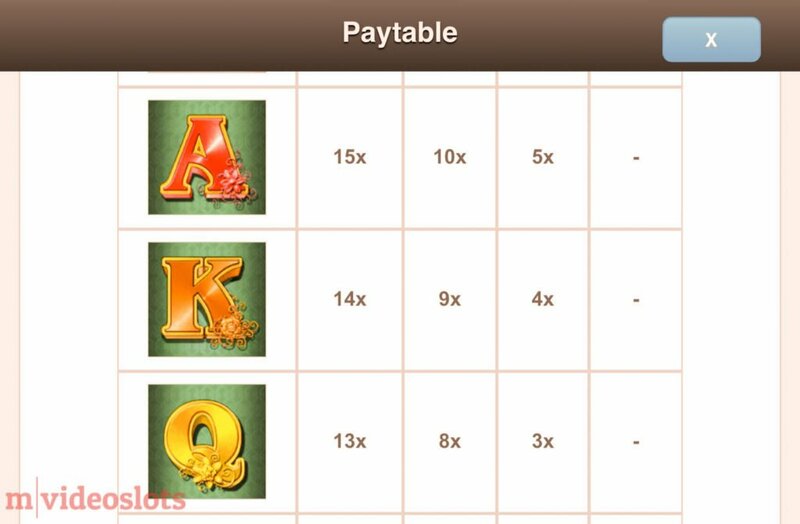 Golden Goddess mobile slot is actually themed on Ancient Greek, and who do you think the name actually stands for? My guess is Aphrodite – the goddess of love and beauty, and the wife of Hephaistos (the god of fire). And who’s that man in the game? He’s likely to be Hermes – the god of travel, business, and sports (yep… that’s right!). He’s also often depicted with a winged helmet. Well, it’s definitely not Zeus, that’s for sure. 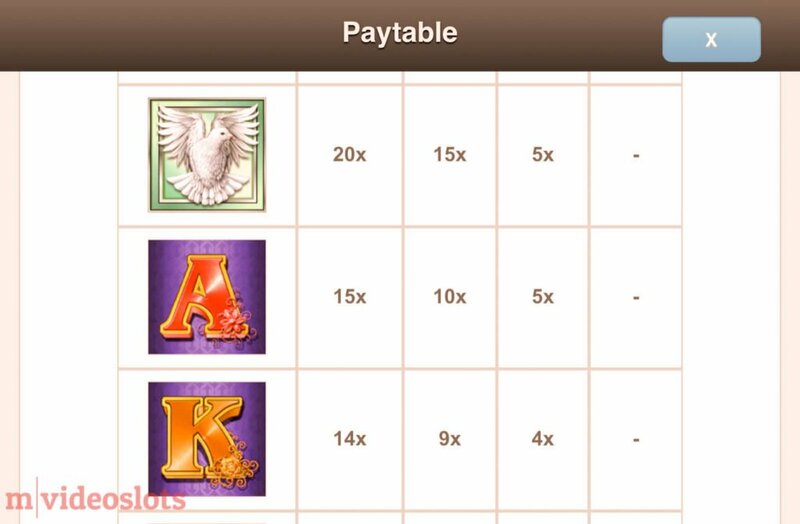 3 of the high pay icons already reward for two in view! 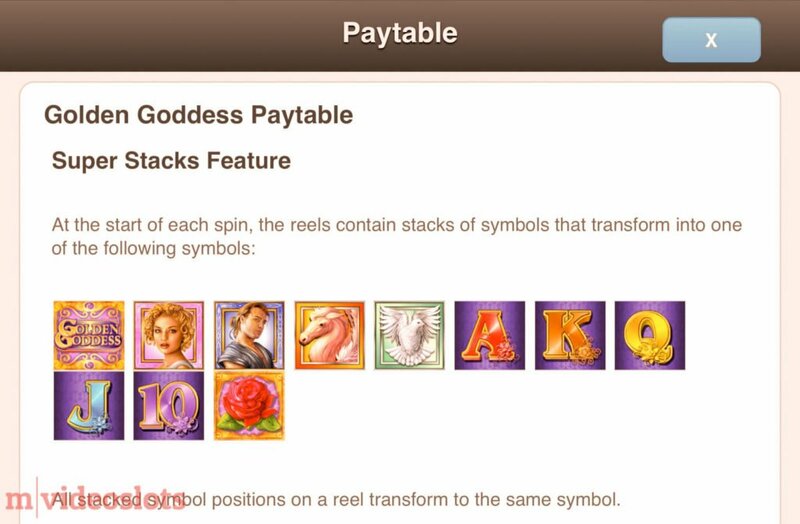 The Aphrodite symbol is the most rewarding from all base icons and pays up to fifty times the total stake for five in view. 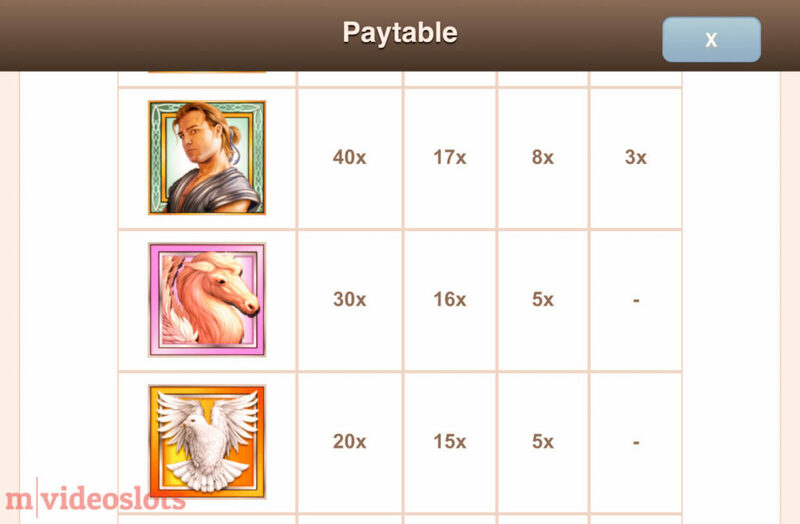 Hermes, on the other hand, pays up to forty times for the same max combo. 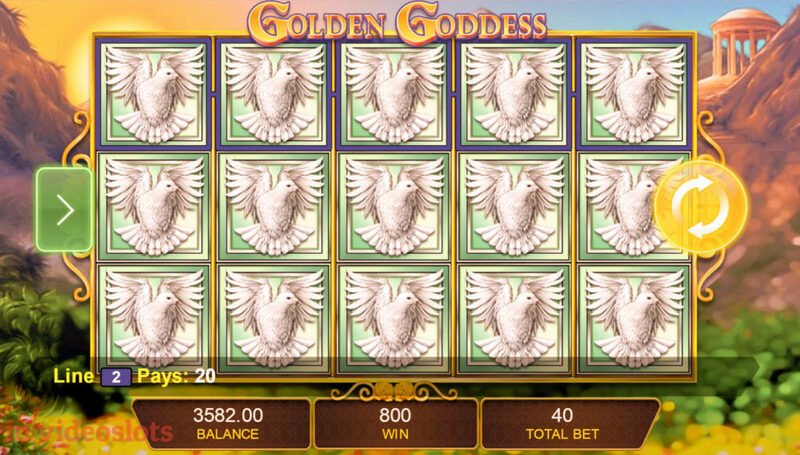 Moving on, you can also win up to 1,000 times the total bet for five Golden Goddess Wilds! The Wild is stacked too and can fill the entire screen! This will also trigger the game’s jackpot. 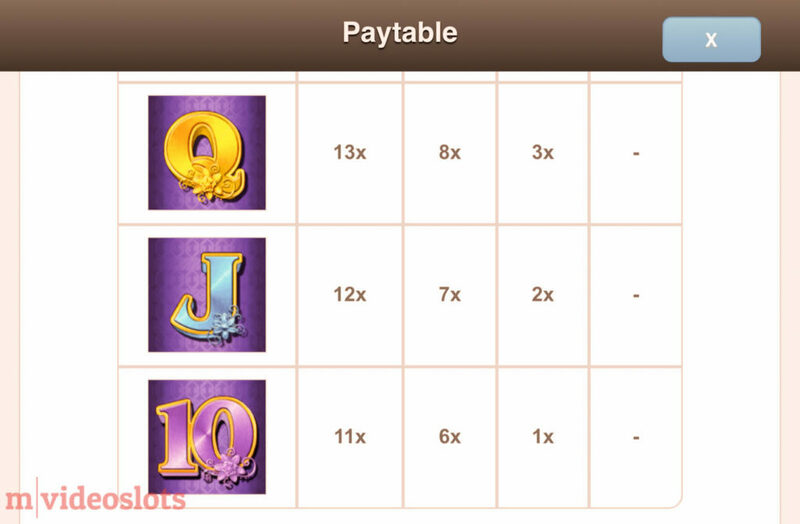 High-pay Golden Goddess mobile slot symbols. In addition to the aforementioned icons, Golden Goddess comes with a Bonus symbol that’s in the form of a Red Rose. Unfortunately, the Super Stacks don’t fully apply to it. This is because the symbol only appears on the 3 middle reels (reels 2, 3 and 4). 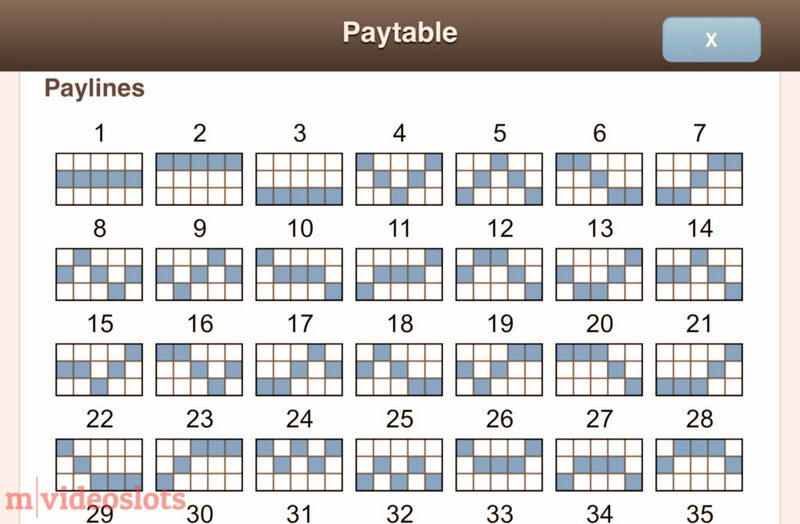 However, whenever you fill all positions on those reels you win the Pick-a-Super-Stack Feature! 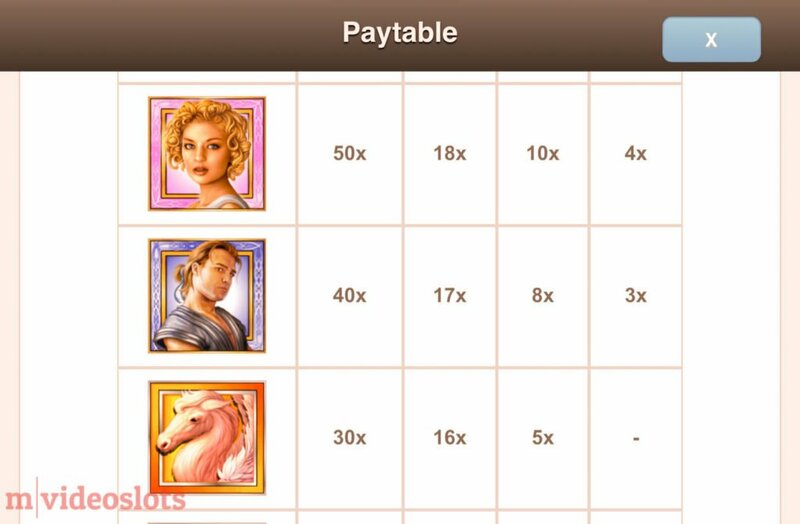 The moment you trigger this bonus, you’re asked to pick a Red Rose and reveal one of the 4 high-pay base symbols (Aphrodite, Hermes, Horse, or Dove). 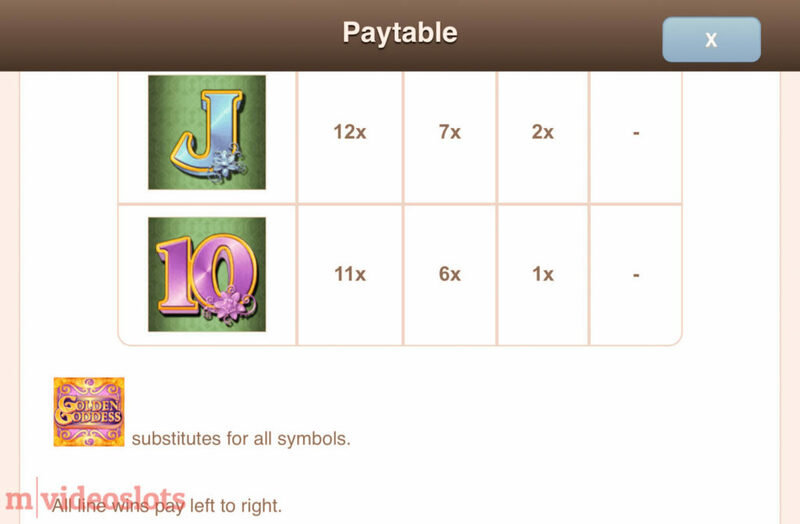 Your blindly chosen symbol will be the only Super Stacks symbol in the bonus. 7 Free Spins — yes, only that much, and they cannot be retriggered either. 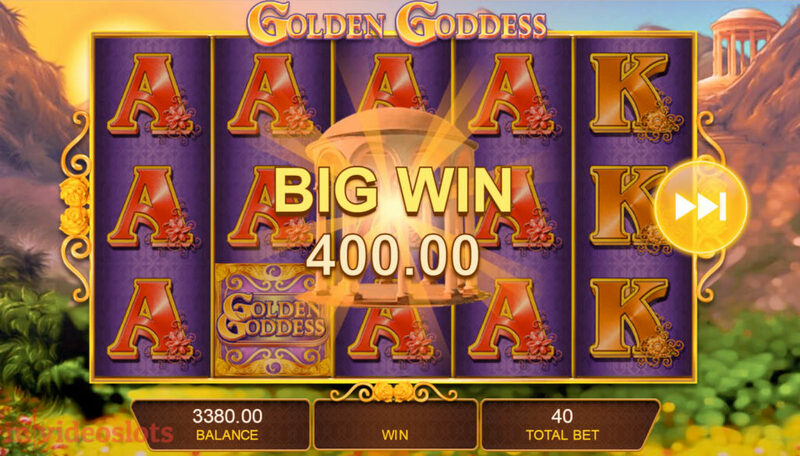 Is Golden Goddess Mobile Slot the Right One for You? 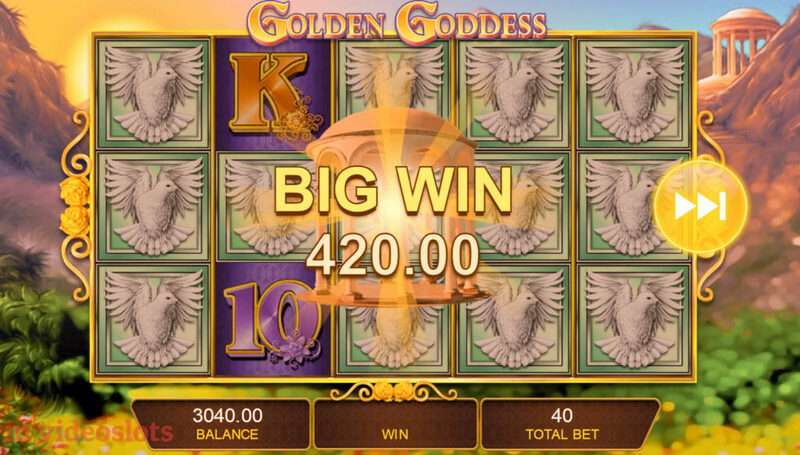 Some players absolutely love Golden Goddess’s innovative Super Stacks and that’s why you can now play the video slot across the world’s land-based casinos, and of course on your tablet and smartphone too. Are you after colossal wins? As you can now understand, Golden Goddess won’t deliver that. While the main game is supercharged with stacked Wilds, the bonus has barely of any of them, but offers something else instead. This is also a lower variance slot. Do you know that IGT has many other exclusive features, such as MultiWayXtra and Tumbling Reels? You can find them at Vera&John and LeoVegas on popular slots like Prowling Panther and Sushi Yum Yum. Perhaps they might offer that X-factor that you could be looking for. Get the exclusive bonus and play 3,000+ games from 90 studios! *Bonus wagering requirement 35x. Spins available on Starburst (NetEnt). No code needed. No deposit required. T&C apply. From "aha" to "ka-ching!" – I'm sharing the best mobile casinos have to offer. Never miss fresh content again. I research casinos and slots to help players around the globe. I’ve been doing this full time since 2010. The hard part’s been done for you – read, share and have fun. Learn more.